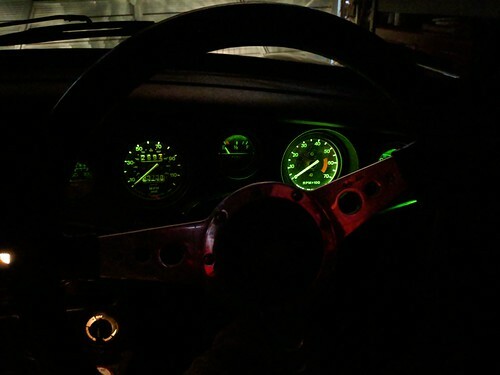 I'd looked at upgrading the gauge lighting before but had tried some cheap LEDs off ebay. This time I went with some from Classic Car LEDs which were much better quality. I had a chat with Duncan the owner and got enough sent through to replace the main lamps on the dashboard. In the end I didn't replace the heater control lamps as they were too difficult to swap, but the speedo, rev counter, the secondary gauges and the interior lights all got LED upgrades. One thing I found was that the length of the speedo LED was a tough too long as when pushed fully in it fouled the internals and caused the needle to stick. I only found this out after I had removed the speedo cable and tested it with a power drill.